After over 25 years in practice as a facial plastic surgeon, I can reflect on the essence of how I have matured in an ever-changing world of cosmetic trends, fads, and what’s new. I believe that beauty is intrinsic in every human and is healing for all. Beauty brings us in contact with all our levels of being—physical, mental, emotional and spiritual. I am touched when my office is often the first place that people reach out to in response to serious change in their lives. I believe that we reflect the respect we have that even small changes on the outside allows for so much healing and acceptance on the inside. So, every day I honor those people who trust their face to me as their facial plastic surgeon. With this sacred trust, I try to align myself with treatment and procedure offerings that have safe and consistent results. 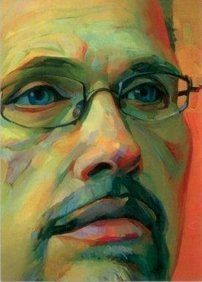 As a surgeon and artist for the face, I am led by nuance and subtly. I am inspired by diversity of form. I seek states of harmony, balance, and proportion. I am grateful to all the teaching and learning from that my patients have so generously offered to me over these years, so that I can give back to them every day, as fully as I am able. Dr. Edward Szachowicz’s grandparents immigrated from Poland as a young couple at the turn of the century from the city of Lodz. He carries his grandfather’s name, Edward Henry, as was the tradition of the time. His grandfather was the second born and was not in line to inherit the family estate, so he came to United States. The Polish people pronounce Szachowicz as Sha-ho-vich, while the Americanized version is Sack-o-which. 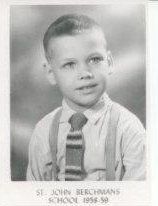 The lust for learning started early with Dr. Szachowicz, shown here in his first graduation photograph. 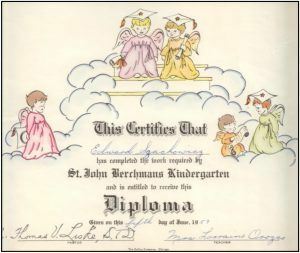 It was hard in 1959 to know that Dr. Szachowicz’s education would span another 27 years! 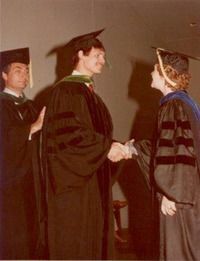 Here Dr. Szachowicz is shown graduating from the University of Illinois College of Medicine, in the Alpha Omega Alpha Honor Society, a prestigious academic award for excellence in medicine. His undergraduate Bachelor of Arts was earned at Northwestern University in Evanston, Illinois. Dr. Szachowicz then joined the MD-PhD program at the University of Minnesota in the Department of Otolaryngology. This is a time of his life when the degrees kept on coming. After completing the 5-year MD-PhD program at the University of Minnesota, Dr. Szachowicz was offered a dual faculty position at the University of Minnesota, Department of Otolaryngology with an appointment as a trauma surgeon at the then St. Paul-Ramsey Hospital (now Regions Hospital in St. Paul, MN). 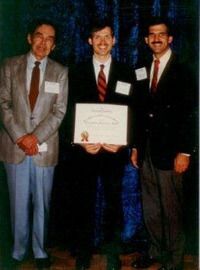 Then, he went on a year-long fellowship in Facial Plastic and Reconstructive Surgery and is shown here with his fellowship certificate at his final graduation. He was later double-boarded as he became a diplomate of the American Board of Facial Plastic and Reconstructive Surgery. 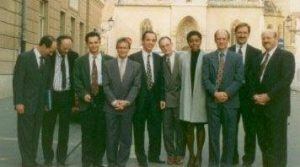 In the spring of 1993, Dr. Szachowicz donated much needed surgical services in the capital of Croatia, the city of Zagreb. Dr. Szachowicz was part of an international faculty of academic surgeons as part of the American Academy of Facial Plastic and Reconstructive Surgery’s “Face-to-Face” outreach. This educational mission was funded by the Lira Foundation, a non-profit philanthropic Croatian group. Overwhelmed by the severity and volume of war injuries in the Balkan War, The Croatians doctors needed and intensive educational update on the treatment of facial trauma. In just two weeks, nine American and Swiss surgeons performed over 60 teaching surgical cases. A portion of Dr. Szachowicz’s casework was at the children’s hospital in Zagreb. 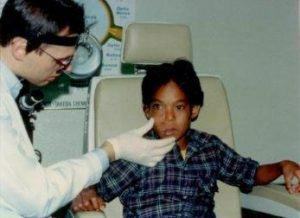 Here Dr. Szachowicz examines a young boy with a mass growing in his right cheek. In 1989, Dr. Szachowicz donated his services to the people of the Marshall Islands, a chain of atolls in the Pacific, midway between Hawaii and Guam. The Marshall Islands is a territory of the United States and is where the USA used the island atolls as the testing sites of the newly developed atomic bomb. Many of the islanders and their descendants have had tumors and other aftereffects of the radiation exposure. The National Health Service (a department of the U.S. government) built and partially staffs the hospital facility on the tiny island of Majuro. Dr. Szachowicz has only one child, Asher, age 22. 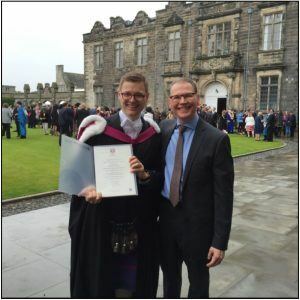 Asher graduated with a degree in computer science with a combined degree in psychology from the University of St. Andrews in Scotland. He is planning to continue his education at the University of St. Andrews in a Master’s Degree program starting in 2018. He is interested in photography, ballroom dancing, and anything electronic.